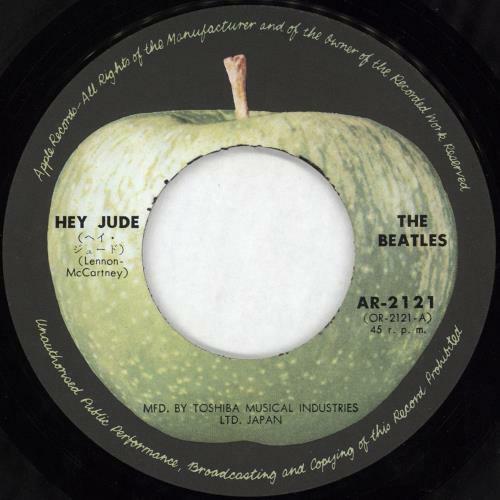 THE BEATLES Hey Jude (1972 Japanese third issue mono 7" black vinyl single on the Apple label with 'MFD. 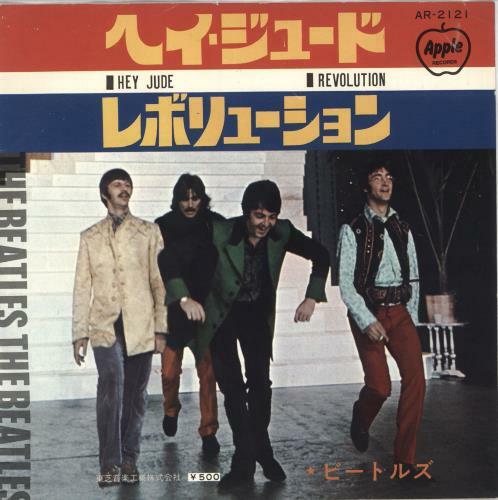 BY TOSHIBA MUSICAL INDUSTRIES LTD. JAPAN' text, also including Revolution, issued with a unique wrap-around picture insert with '�500' price point on the front, and lyrics inside. 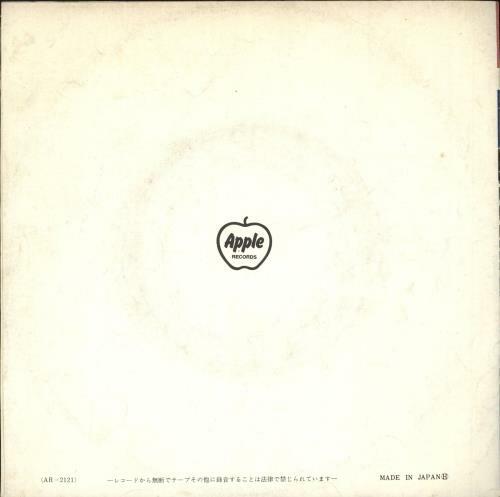 The insert displays some light wear and the vinyl shows only light signs of play AR-2121).